Whilst undertaking a recent trawl through the photo archive at Associated Press (AP) for old photos connected to the ISDT and its venues I found a couple of news reel clips which although not clearly labelled were of the ISDT. 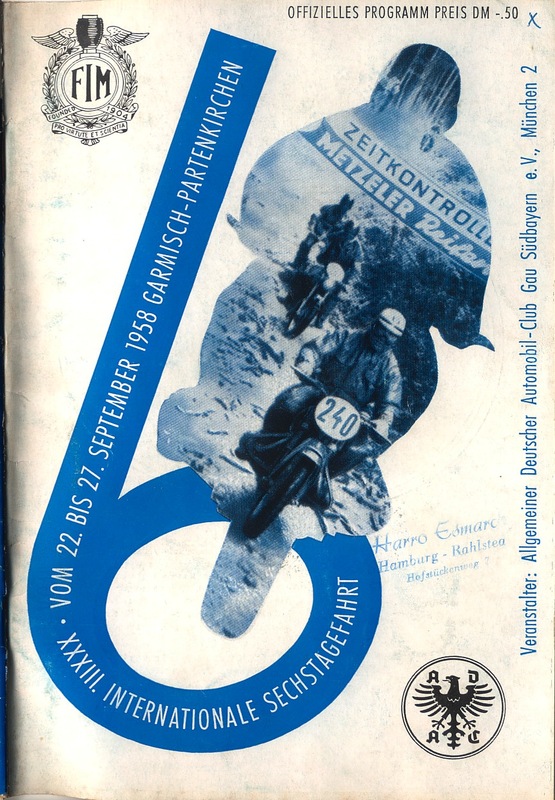 I have now added these to the video page but here is the video of the 1969 event held in Garmisch Parternkirchen, West Germany as it was then. ‘Uh oh’ here I go again, let’s get mapping. Any tips or clues welcome as we are a bit short on detail other than this map. 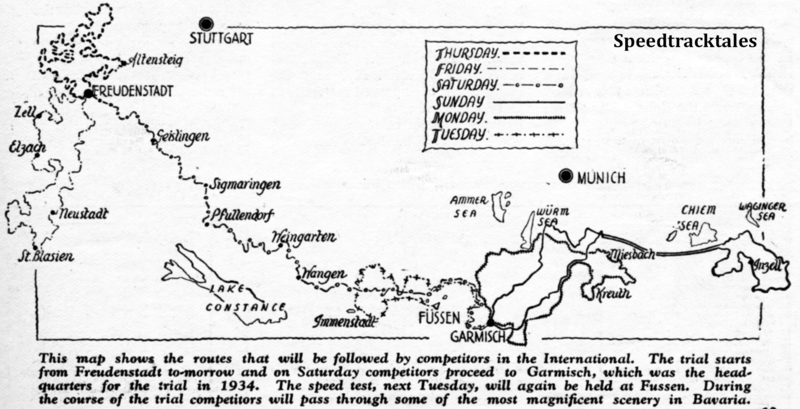 update – It goes without wonder that our first two offers of help were from German readers, Andreas who has helped work out the modern place names, and the incredible ‘STB’ who without asking bowled up with detailed original maps for days 1 and 2 of the event. This will be a rolling task based on sparse information.. come back to see what we are finding. Aided by just two 1936 issues of ‘the Motor Cycle‘ and without the final day report this map and list of places is the best at the moment. Any Germans, Bavarians able to help please do. as ever •Bold = known checkpoints, Italics = I could not locate the place.